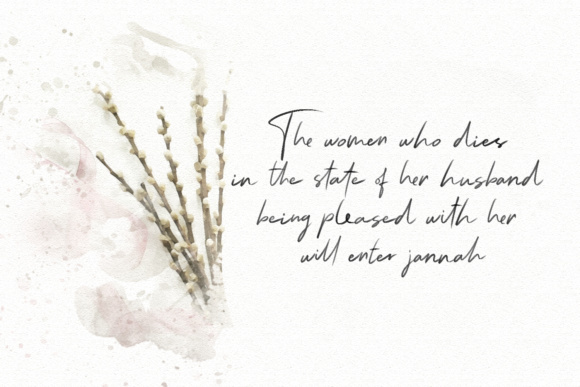 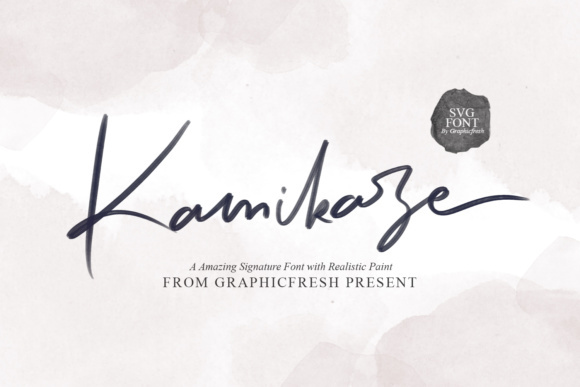 The Kamikaze is a svg signature font with a soft touch. 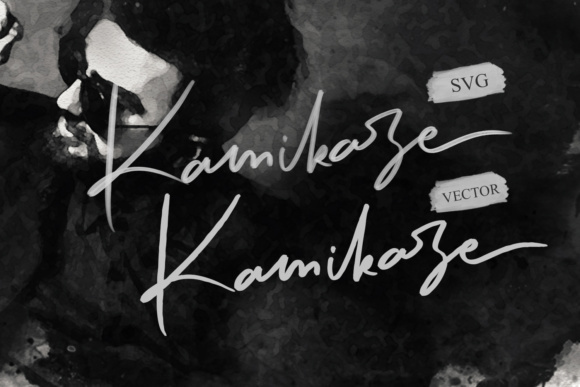 Make a beautiful signature made of stunning paint texture with Kamikaze. 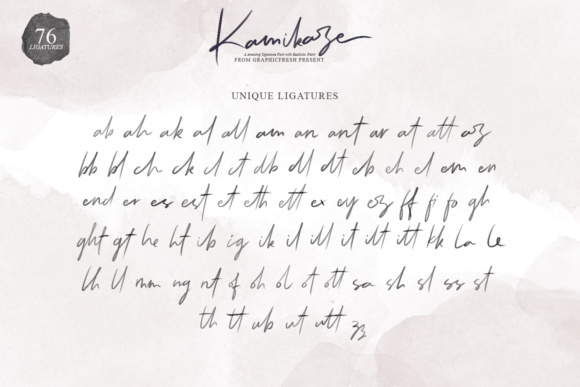 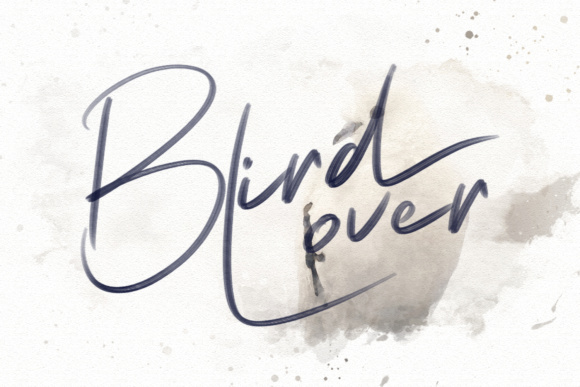 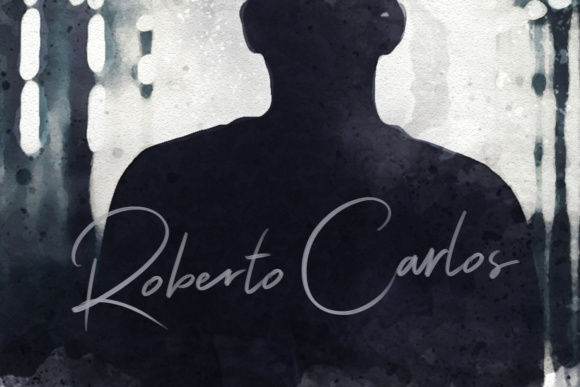 – Kamikaze Opentype SVG Font: This is the main font file containing all the oil realistic effects. 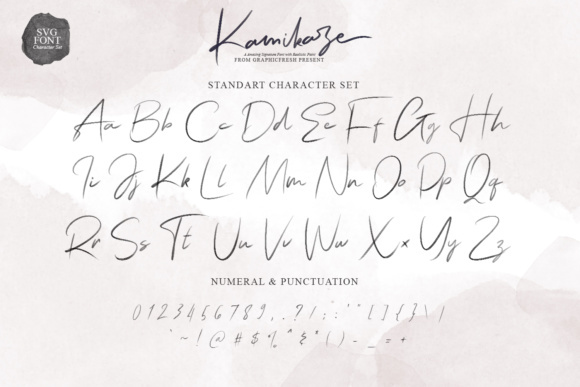 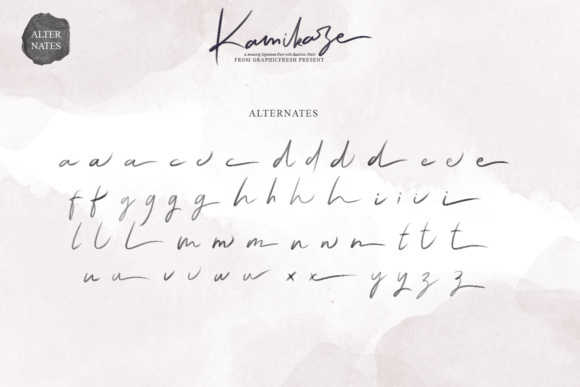 – Kamikaze Vector Font: Use this version if you need the font in a traditional vector format.